What is Kubifaktorium? Build, manage and grow a thriving colony, discover new lands, craft legendary weapons and defeat your enemies. 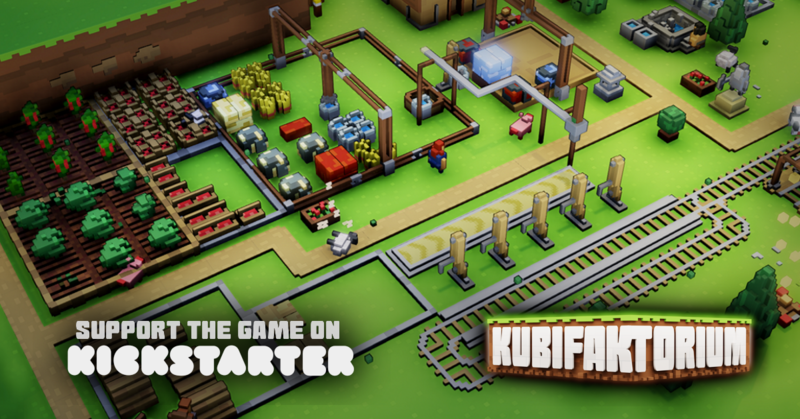 Kubifaktorium will feature different biomes to explore, plenty of resources to exploit, complex machinery to build and interesting production chains to master. About this version This is the game demo to showcase it for the current Kickstarter campaign, which will run from 7th August to 5th September. The demo includes only the very first mission and does not include any of the advanced automation and transportation features, biomes, the world map etc. which the full game will include. Also, the game is still in early alpha so expect to experience some bugs and inconveniences - it is not representative of the final game. Looks cool, I put you up on the fresh games section on the homepage.